How to play new PTC sites!! In this post I shall dwell on how to make money using new PTC sites and how to make the most out of them without or shall I say before being scammed. It is common knowledge that the Internet is not without it's share of scam websites and the PTC world is no different. Although registration is 100% free you would come across some fly-by-night operators who disappear without a trace. Sadly we cannot do anything about them. You can file a complaint with some International Agencies though, but that's about it. Nothing much can be gained from that. I personally love enrolling myself in these brand new PTC sites, especially the ones which have a low cash out option like GladBux, AseBux and ClickHonest . These are featured on this blog. I shall be adding more as and when I join some. Do come back to the blog for more. I'd say 1 year is a reasonably long time to safely say that a PTC site is trustworthy especially if it has displayed the following 3 characteristics. 1. It has paid each and every cash out with any defaults. 2. It has not had any issues with payment processors like PayPal. 3. It has not changed it's payout structure suddenly without giving a proper notice to it's members. If a site shows the above 3 qualities, I would be very comfortable working with it. This is not to say that PTC's who are more than a year old don't go bust! Certainly there are a few who do vanish but we can take a chance with those. Life is all about taking calculated risks/chances isn't it??? I personally like to enrol in new PTC sites with low cash out due to the reasons outlined below. 1. Low cash out implies I get to reach the threshold fast and withdraw my money. 2. I can use this money to Rent more referrals in my Top PTC sites like Neobux, ProBux, Clixsense and NerdBux. 3. I can also use this money to buy upgrades or advertizing spots to promote my referral link which would get me Direct referrals. 4. If the new site is online for 4-6 months from it's inception, I will start looking at using my earnings to rent referrals and/or purchase upgrades on that site and make more money off it. The points I have listed above are nothing but common sense. This is not Rocket Science. If I can do it, so can you! As I have mentioned time and again in my blog, the PTC game requires a lot of patience and perseverance,. I might also add that it requires you to keep your eyes open for any money making opportunities that may present themselves. Yes it is true that the PTC you joined may go bust in the future, but by then you have earned sufficient out of it. I strongly recommend to follow the simple pointers I have listed above and make the most of these new PTC sites. ClickHonest - Your Honest Clicks!! ClickHonest is one of the latest PTC to hit the ever growing PTC universe. It is similar to the top PTC sites like NeoBux, ProBux, Clixsense, NerdBux, etc. featured on this blog. You can make money by clicking ads, doing Micro Jobs, Crowdflower tasks, watching videos on 'Vrool', Offer walls and by playing games. Quite a lot of options to make money!! 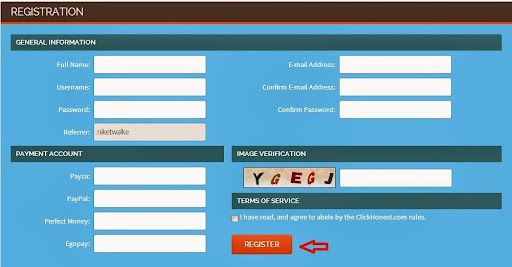 Next you will see the registration page. 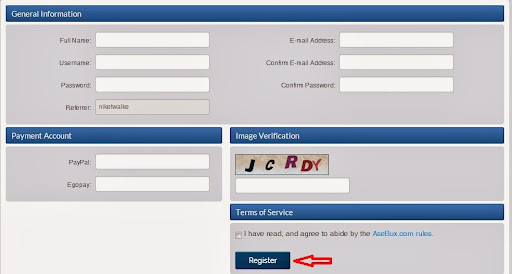 You will see the following registration page. The Micro Job section basically pays you to sign up using a referral link. As usual, you can earn more money by Upgrading your account. 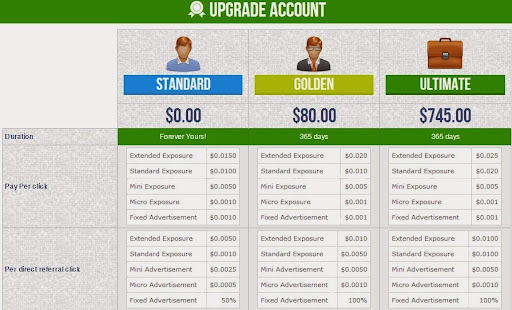 ClickHonest has 4 levels of Upgrades viz. Premium, Golden, Bronze and Ultimate. I have listed out the key differences below. Point to note is for the free Standard membership, there is a cap on the number of Direct and Rented referrals i.e. Max 200 Directs and Max 200 Rented. I don't think that should be a point of concern though, as it should be enough for us to save money and upgrade to the Bronze membership valued at $79.99. I have listed some strategic guides about making consistent money from PTC sites. Do check out the ProBux, NeoBux, NerdBux and Clixsense earning guides. They have a ton of info which you can easily apply to ClickHonest as well. Also note that the withdrawal is not instant for the free Standard membership, meaning once you place a request you will not get the money instantly. Also once you cash out, depending on your membership, you have to wait anywhere between 1 to 7 days before applying for the next withdrawal. I agree ClickHonest is a relatively new entrant to the PTC universe, but I think it has a lot of promise. Also, it has a low minimum pay out threshold of $1 which means any time your account balance reaches $1 you can withdraw it in you PayPal account. A $1 minimum cash out is just awesome!!! In case you do not have a PayPal account and don't know how to get one, do go through the step by step guide at All about PayPal. If you have not yet registered for free at ClickHonest do so by clicking the link below. Though a new entrant, ClickHonest has already shown a lot of promise. This PTC can only get bigger in the time to come. I certainly hope so. In the mean time we can make good money off it. So join me in becoming part of the PTC revolution with ClickHonest. GladBux is the latest PTC to hit the ever growing PTC universe. It was launched on 6th November 2013 and is part of the Glad Media group having offices in US and Hong Kong. It is similar to the top PTC sites like NeoBux, ProBux, Clixsense, NerdBux, etc. featured on this blog. Once you do that, you will see the following page. 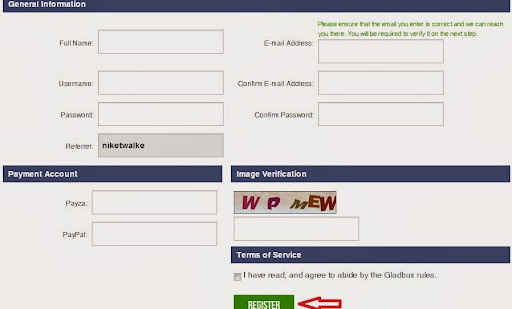 GladBux is a brand new site hence the options of earnings are limited for the time being. Having said that, as the site continues to grow it will add more options. Currently, in addition to clicking ads, you can earn money by doing Micro jobs and playing the "GladGrid". I have created a simple guide to increase your earnings in the grid game. Make sure to check it out at the Grid Game Guide. 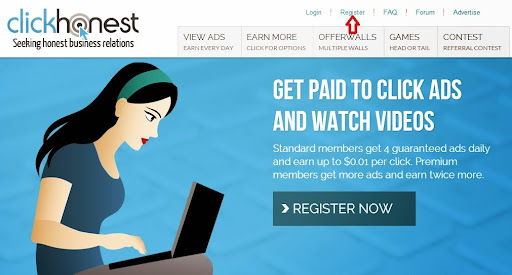 The Micro Jobs sections basically pays you to join more PTC sites using a referral link. Point to note is for the free Standard membership, there is a cap on the number of Direct and Rented referrals i.e. Max 100 Directs and Max 250 Rented. I don't think that should be a point of concern though, as it should be enough for us to save money and upgrade to the Golden membership. I have listed some strategic guides about making consistent money from PTC sites. Do check out the ProBux, NeoBux, NerdBux and Clixsense guides. They have a ton of info which you can easily apply to GladBux as well. I agree GladBux is a relatively new entrant to the PTC universe, but I think it has a lot of promise. Also, it has a low minimum pay out threshold of $2 which means any time your account balance reaches $2 you can withdraw it in you PayPal account. In case you do not have a PayPal account and don't know how to get one, do go through the step by step guide at All about PayPal. Thats it! Though it is a new entrant, GladBux has already shown a lot of promise by acquiring another PTC "BoostFin". Only goes to show this PTC can only get bigger in the time to come. I certainly hope so. In the mean time we can make good money off it. So join me in becoming part of the PTC revolution with GladBux. 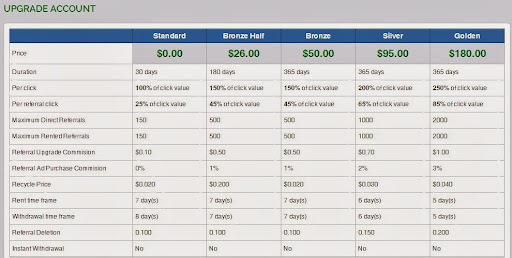 PTC sites, in addition to clicking ads, offer many other alternatives for earning cash. I believe the Grid game gives one an exceptional chance of making a quick buck. 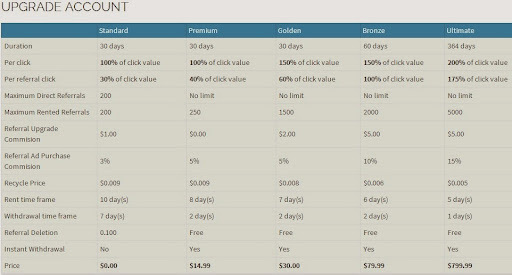 Most 100% free PTC sites featured on this blog like Clixsense, ProBux, NerdBux, PTC Solution, Scarlet Clicks, Twickerz etc. have the Grid game. 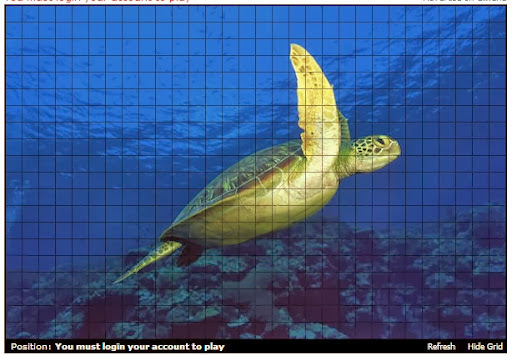 NeoBux has AdPrizes which is nothing but a modified version of the grid game. So what exactly is the Grid game all about?? The Grid is essentially a big square which comprises of small squares. Each square has an ad embedded in it, meaning once you click on any square it will load an ad which you need to see. Except in this case, you don't get paid to view it. What you get instead is a shot to win an handsome amount usually from $5 to $10. Now that is very very big money for watching an ad. The money is distributed among winners like say $2 for 5 winners and so on. As you might have guessed by now, it is essentially a game of chance. Here's how an actual grid looks like on Clixsense. It's called the ClixGrid (by the way, Clixsense was the pioneer of grid games in the PTC world)!! As I have explained above, all you need to do is click on each of the squares and watch the ad. And pray that you win the jackpot. The best part is you get a shot to win the big prize everyday. 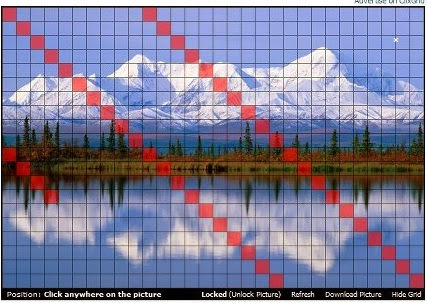 I have outlined a few pointers which can help you become successful at the Grid game. These are in no way sure shot ideas to make money but you can increase your odds considerably if you follow these. 1. Play the Grid Game everyday - Yea that's right!! You have to play it everyday without fail. Most Grid games give you 20-30 chances on the free membership. Upgrades get even more. The more chances you have, more is the probability of winning. It's really that simple. In my experience, the more you play, the more you win. Like I said, use your imagination and try out different pattern combos. You will definitely succeed. 3. Try and play the game at the same time everyday - Some people have claimed success with this approach. I have tried it myself without any. You should try it out. Maybe it will work for you. That's it!!! As I have outlined above, the Grid game is all about probabilities. And yes! it PAYS. The PTC sites actually make a lot of money off it and hence they do not have any problem in paying a portion to us, the clickers. Remember, it's all about earning money in the PTC world and the grid game increases the probability of making money. So lap it up. Go ahead, try your luck, follow the steps above and make money!!! !